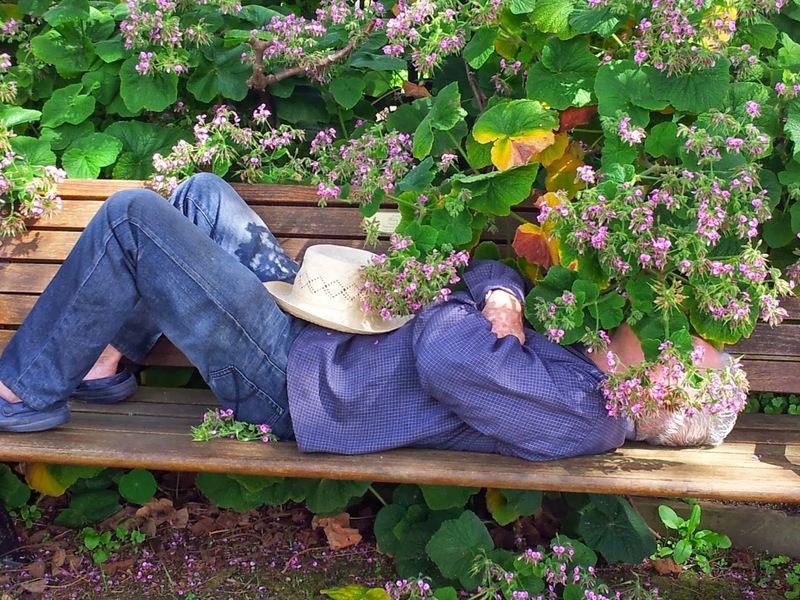 Spring in Auckland has crept up and surprised me – I really didn’t see it coming. 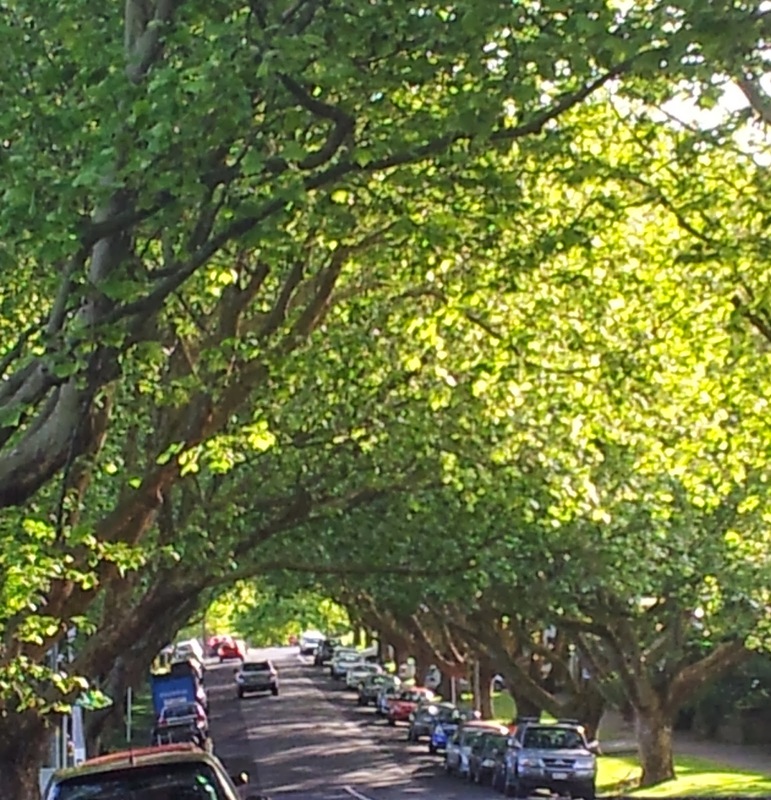 It seems just a couple of weeks ago that the gracious Plane trees lining our streets gave us an open view to the sky. Newly clothed with green they lean together to create the charming archways that are a feature of Auckland’s leafy suburbs. The trees leafing up, longer days, and packed garden centres are clues that there is definitely a change of season. I know spring is here when asparagus arrives. 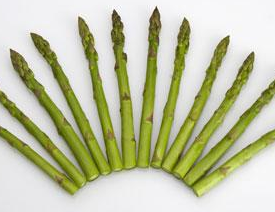 Asparagus is the first vegetable of the new growing year. 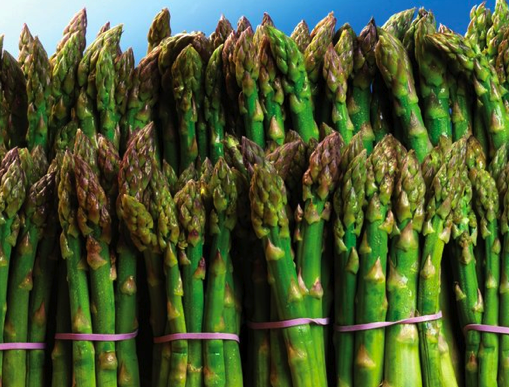 Price wise, now is a good time to eat asparagus as there is plenty at the markets and in the shops. Another spring time resident on our property, and most likely in yours, is often cursed by gardeners as a nuisance. 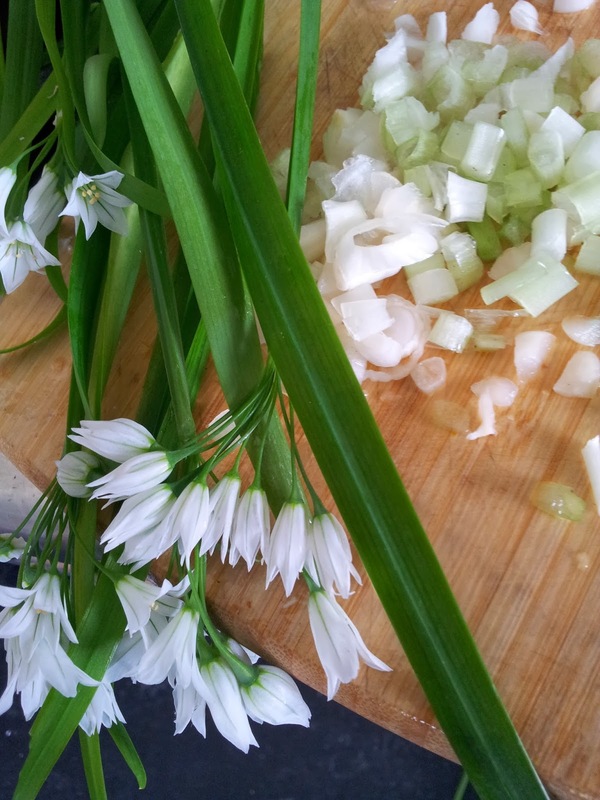 For me wild onion or onion weed is a spring onion alternative and it’s free! To harvest, use a fork (unless the ground is very soft with rain) otherwise you will fail to get the small bulbs out. Eating them is a most satisfying way to keep your wild onion weed under control. They take a little time to wash and sort but they are really tasty. your hand down the stem and it will smell of onion. Spring inspires us all to get back into salads. Here’s a way to make one bunch of asparagus go a long way. This salad could be a satisfying lunch on its own or a wonderful side to the first barbequed sausage of the season. This salad because can fool you. It’s made from Risoni (pronounced ree-soh-nee) and while it could be mistaken for rice, it’s actually a type of pasta. 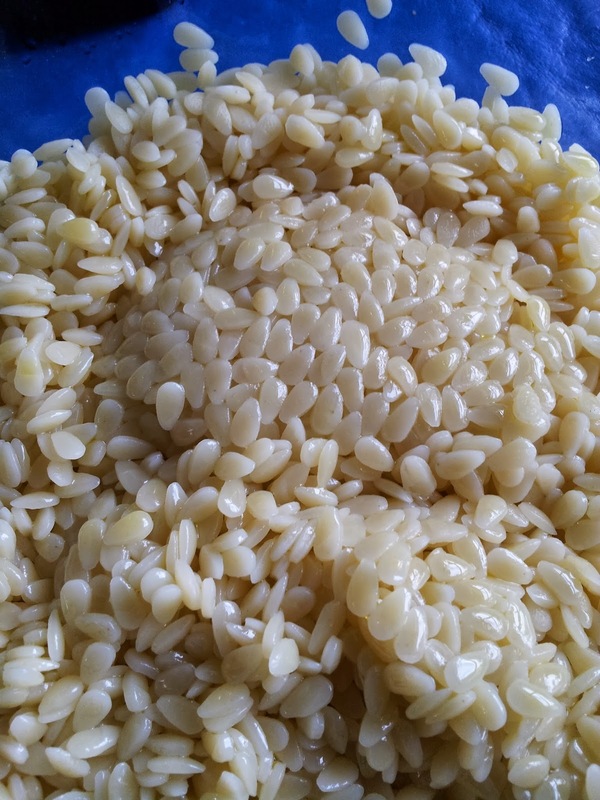 It’s also known as risi (Italian for rice) and is sometimes referred to as orzo, although this tends to be slightly larger. Risoni in Italy is often used in soups. 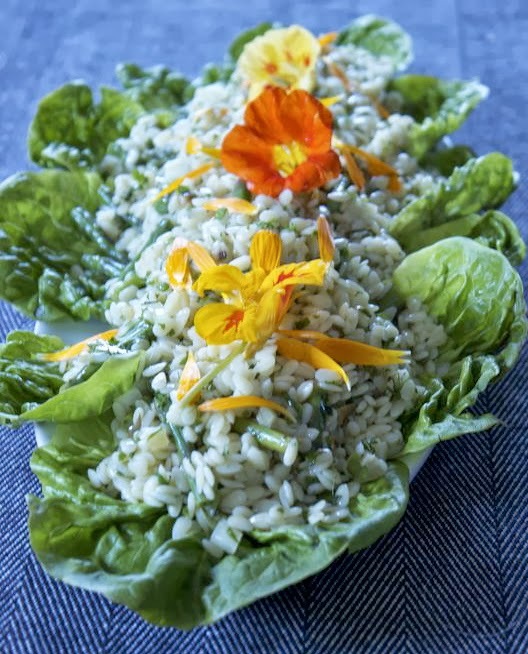 I really like to use Risoni for salads – because it looks like rice but has a smooth soft texture that takes up the flavours of olive oil, herbs and lemon to create a salad that is eaten with relish in our house. 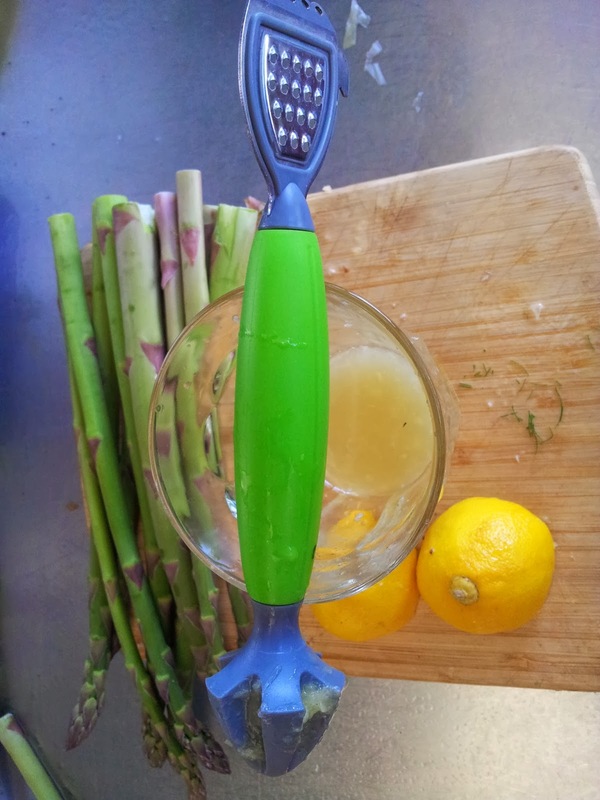 wonderful kitchen tool, its a lemon squeezer, zest and fine grater all in one..
olive oil to taste and then add sliced up asparagus. Cook the risoni pasta as you would any other dried pasta – with plenty of well salted water. I use 3/4 of a cup of dried pasta and this made plenty of salad for 3. Once cooked (don’t overcook it or it will all stick together and not free flow) pour into a sieve and run cold water through the pasta to separate. While the risoni is cooking, also cook the asparagus. 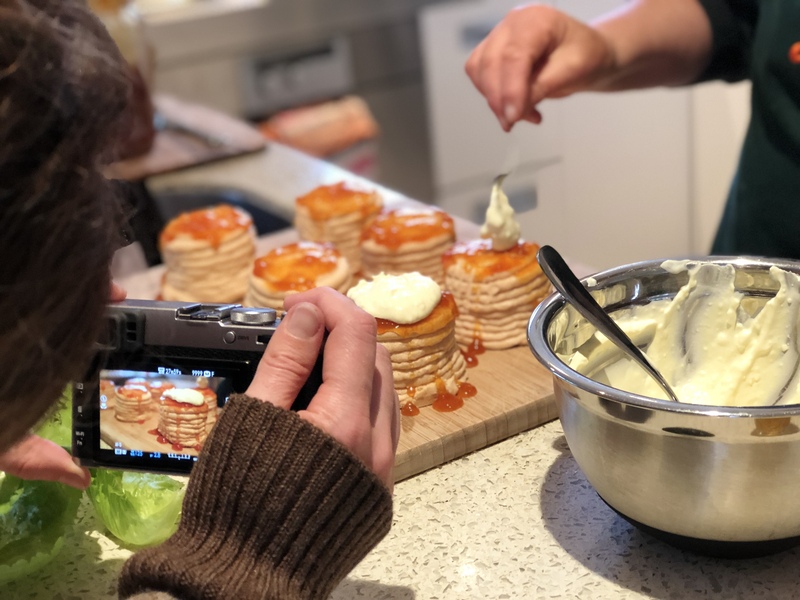 You could oil them and simply grill them, but for this recipe, I prefer to cook them in a high sided pan in salted boiling water until “just” cooked. It only takes 1-2 minutes. Make sure you don’t include the end woody bits. I simply bend the asparagus holding the stalk end until it snaps. It breaks in the place where the stems are soft. You may think what a waste but you don’t want to chew on woody asparagus. Take out of the hot water immediately and spread out on a tea towel to cool quickly. This will ensure the asparagus remains a good green. per person gives you your daily vitamin K requirement. Next chop up your herbs. 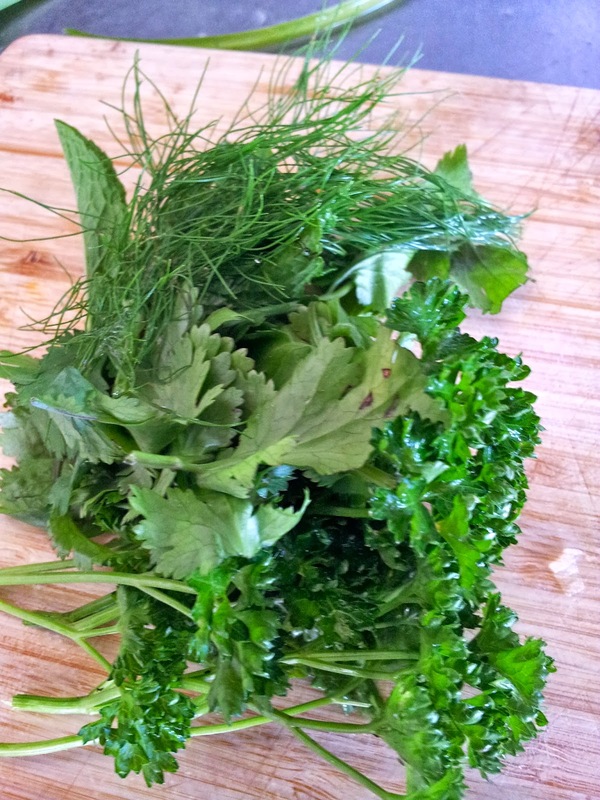 I use whatever herbs I have around – parsley, I nearly always use, and on this occasion added some fresh mint that goes really well with asparagus, a little fennel and coriander. In the summer tarragon and basil are great additions too. 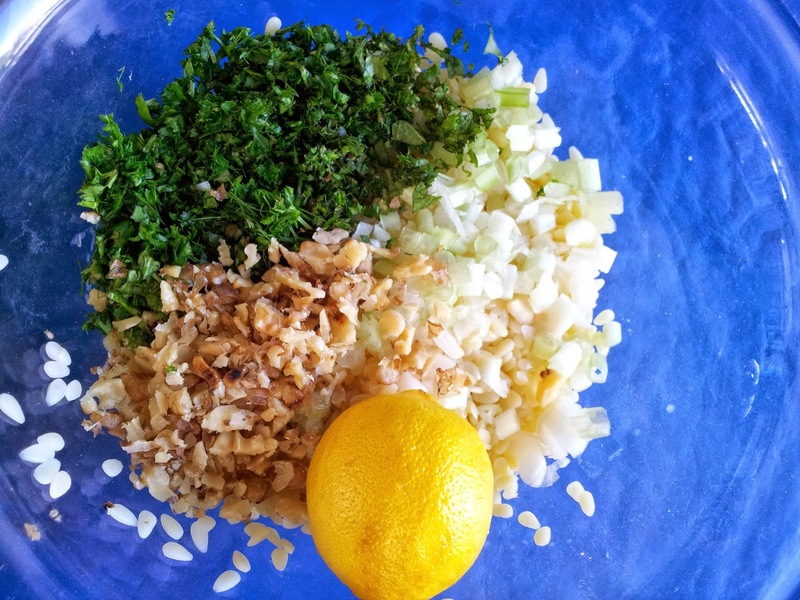 Put all the ingredients together, adding the oil and lemon juice last and to taste. You may not need to use all your lemon or you may want more. It’s so important to taste your salad to ensure you have a good balance of flavours. I served this salad on a bed of mini cos lettuce that gave a crunchy contrast to the soft flavourful risoni. I added two of my favourite edible flowers nasturium and calendula petals. Both these plants are flowering now and I find their bright colours make for a happy and tasty salad. Nasturtiums are also called Indian Cress. 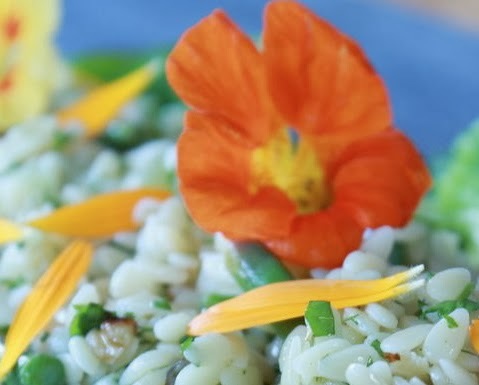 The flowers give a peppery bite to the salad. when I find enough nasturtiums. Photo from Mens Health.co.uk that I liked. They also have recipes and suggest using asparagus in risotto…I whole-heartedly agree. In spring at the Otago Farmers Market in Dunedin everyone waits in anticipation for the asparagus from Palmerston. It’s sought after because it is so fresh. There is no comparison with the asparagus you buy from shops. Asparagus quickly deteriorates, eating its own sugars, so to taste the sweetest asparagus you need to grow it yourself, or buy directly from growers, or at a farmers market. It’s Labour Weekend. Traditionally this is a time to plant your potatoes and other spring crops. Do take some time out from work to just stop and enjoy the warmth, soft colours and birdsong of spring.